Azov-City is well on its way to witness its last days of existence, as Russia’s Prime Minister Dmitry Medvedev recently inked an order establishing its last day of operation. 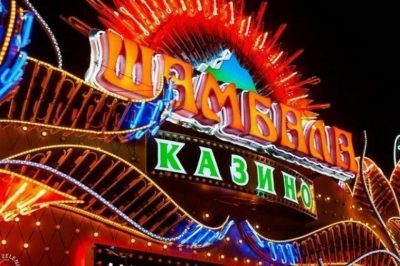 Russia’s well-known zone providing legal casino experience will have to shut down business on 31st December, allowing future development of another casino zone in the Krasnodar Territory. The recently issued decision comes as no surprise to anyone, as there have been indications of it in the past leading up to this moment. Yet it the impact of this order is going to be significant due to its potential to completely transform the region. Prime Minister Medvedev placed his signature on the document which would effectively eliminate the existence of Russia’s oldest gambling zone in operation. Instead of providing casino patrons with entertainment offerings and exciting pastime, the area is set to welcome a wind park overseen by Enel Russia and construction work on the RUB14-billion project will commence as soon as the first months of 2019. 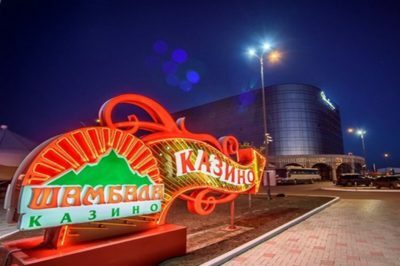 Shcherbinovsky district has been the home of this gaming zone ever since its official launch back in 2009. International casino developers and operators have invested quite the fortune in the region in order to facilitate their operation and provide players with a premium level of gaming. Four casino venues are still in operation, inevitably raising the question of the elimination impact on these businesses. CJSC Shambala overseen by Maxim Smolentsev is one of the major developers in the region, also building a casino resort in Primorsky Krai. The casino project which has been in operation recently saw the launch of its third project phase which added a luxurious 5-star hotel tower featuring 105 rooms available for booking, a spa center, and a casino venue. Mr. Smolentsev stated that the launch of this gaming venue drew an even larger crowd of about 460,000 to Azov-City further solidifying the success of this region. Ever since 2015 when the liquidation decision was first publicly issued, he has been seeking justice pointing out that the interest surge is visible and projected for the foreseeable future. According to him, the existing law from 2006 should be revised and amended allowing expanded gaming offerings in the Krasnodar Territory. Current regulation mandates that each territory is allowed to feature only one zone allowing gambling. 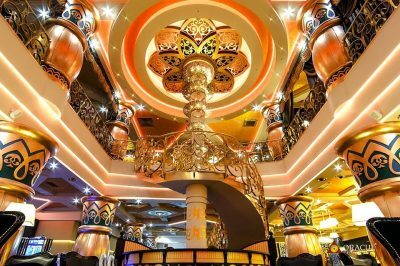 Krasnaya Polyana in Sochi was chosen as the location of a brand new gambling zone three years ago which prompted the closure of Azov-City. CJSC Shambala and fellow investor in the gambling zone Royal Time Group have managed to pour in some RUB6 billion combined which will be nixed once operation in the area becomes illegal. Future investment in the region was also confirmed, in the case of a regulation amendment. As it was confirmed earlier this year, casino operators will be eligible for financial compensation if gambling zones are closed within 10 years of operation, but no such support will be offered to casino developers in Azov-City. This draft legislation was submitted, solidifying a devastating exclusion to Azov-City developers. What should be pointed out is that Azov-City and Krasnaya Polyana are located some 650 km apart meaning that a parallel operation would not bring a negative impact on either zone. Cannibalization of the field is among the leading arguments preventing the State Duma from updating the existing regulation and preventing significant financial damage. The law amendments done by the State Duma gave green light to another gaming zone introduced to Crimea, in addition to the one established in Sochi. They will join the already established ones in Altai, Primorsky Krai, and the Kaliningrad region.